Discussion of marketing deception has mostly focused on two main areas: first are cases that involve the intentional deception of people who tend to have compromised intelligence, such as children or the elderly, and second are cases that involve intentional falsehoods or the withholding of vital information, such as Madoff’s exploits. This article will differ from most in the field by examining marketing practices that are generally truthful, but deceive almost everyone. These practices do not fool just small select groups, but are fooling those usually assumed to be rational. For example, we love “free” merchandise so much that we are willing to irrationally settle for less to get the free product. Behavioral economists and psychologists are proving that, as Dan Ariely puts it, most all of us are “Predictably Irrational.” Is it wrong for marketers to take advantage of the mass’s foibles as it is wrong to take advantage of children? 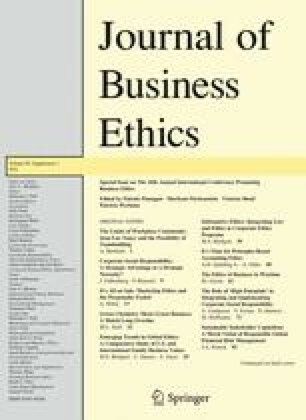 The article will look at some of the behavioral economists’ data, how that data affects the rational and ignorant person standards of marketing, and suggest the reflective rational person standard as a way to morally evaluate marketing techniques given this new data.